I am skiing this week in France which means lots of snow fun with friends, beautiful mountains, the delicious obligatory french pharmacie visit (more about that later in the week!) and of course loads of cheese fondue (yummm) – but also french mags – I usually buy French Vogue, french AD (architectural digest) and something fun and light like Gala or Point de Vue. 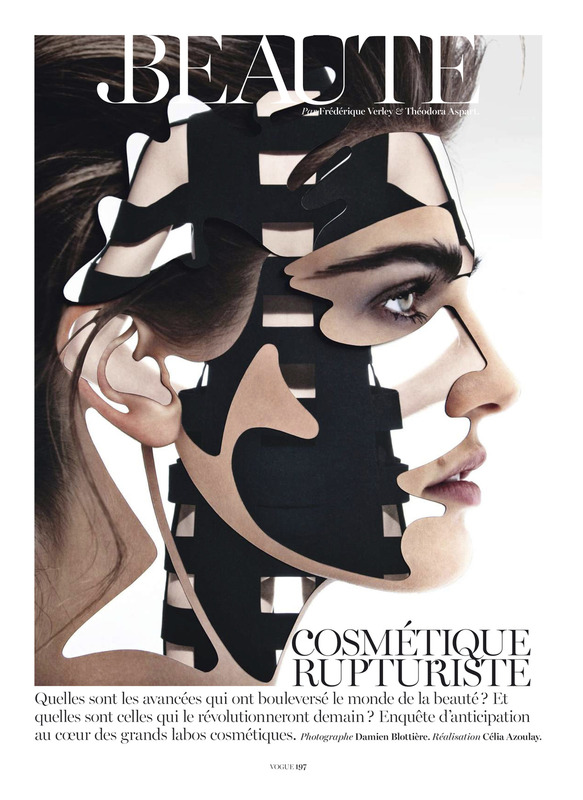 In the March edition of french Vogue there is an exquisite beauty feature called Liftings Mecaniques (about how to achieve great skin without cosmetic surgery) by photographer Damien Blottière. He reworked all the images, shot cuts and then applied the overlays. This is a technique he has perfected over the years which gives a surreal effect, reminding of collages, illusions and distortions. It reminded me of Dahli or Matisse. Damien sees himself as an imagemaker or collagist rather than a photographer, even though he shoots all the work he cuts up. He studied fashion design at the École Duperré in Paris and following that he assisted fashion editor Yasmine Eslami, working on titles such as Purple, Libération Style and Mixte. Cathy Edwards, the former fashion editor at Dazed & Confused, spotted his potential and gave him his first commission. 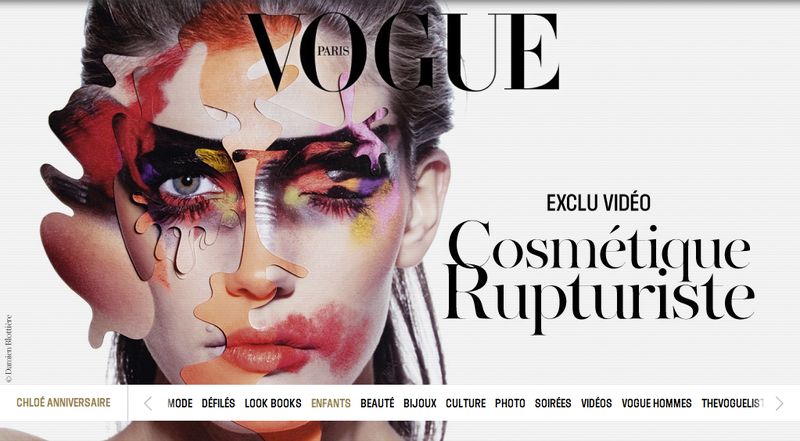 On the website of french vogue (vogue.fr) they have put up a video of how he achieved the surreal looks. It is directed by Chris Roman and Aurelien Petit. Click to see the video on: vogue fr – damien blottiere and see below another video Damien did, aptly called ‘Cut and Paste’. This is really cool and interesting. The blogger has an excellent turn of phrase and pulls in the reader. Cut and paste, send it to your mother, daughter or friend.